To help you strike a balance in your life between enjoying today and planning for tomorrow. We started CGN Advisors because we felt there was a different way—a better way—to do financial planning and investment management. As a fee-only advisory firm, we don’t sell investment or insurance products, so we don’t receive commissions or kickbacks for making recommendations. We feel this minimizes conflicts of interest and is the most objective way to provide financial advice. We don’t answer to a big corporation, like a brokerage firm or a mutual fund company. We work with clients on a fiduciary basis, meaning our loyalty is to you, our client. With a combined 50+ years of experience in financial services and investments, we understand that each clients' situation is unique, and therefore we do not offer "one size fits all" solutions. You have worked hard to get where you are, and to honor that, we work hard to keep you headed in the right direction. We keep you accountable to your future self, so that you can focus on what matters most—the life you are living today. We’ll start by learning about you and the goals that are most important to you. We’ll collaborate with you to create a plan to align your finances with your goals to help you enjoy life on your terms. Make a plan based on your unique financial situation. Review your plan regularly and make adjustments as needed. Stick to your plan for the long-term. Spend less than you earn and save diligently. Use productive debt to grow your assets and avoid consumer debt. Build a proper emergency savings fund. Use insurance to guard against catastrophic losses. Use proper estate planning strategies to plan ahead. Invest for the long-term. Buy stocks of quality companies that have a proven track record of growth. Buy bonds of quality companies that generate income, provide for additional diversification and help control risk. Position yourself to be able to take family vacations, enjoy your hobbies, live your dreams, volunteer your time and give generously. Ongoing financial planning is our flagship service. At CGN Advisors, we believe clients receive the most value for comprehensive financial planning when services are provided in the context of a long-term, ongoing relationship. We provide the best advice when we have a full understanding of your whole financial picture and can adapt the financial plan as your life situation changes. Life changes in unexpected ways and so does your financial situation. As changes develop, you get real-time advice so that we can still make progress towards your financial goals. With the ongoing financial planning relationship, you never have to worry about extra fees when new financial questions come up. Dealing with new circumstances as they arise allows us to be proactive and adjust other parts of your plan. Contact Us today to learn more about our financial planning services. Project-based financial planning is a collaborative process that begins with information collection and ends with a set of recommendations focused on topics chosen by you, the client. Then, as your financial situation changes, you simply reengage us in the future to ensure you are still on track. Complete a brief questionnaire, come in for a meeting, and receive a snapshot analysis and recommendation. Pick and choose from a menu of financial planning categories, then receive recommendations based on the agreed upon topics. In depth analysis in all planning categories, including but not limited to income/expense, insurance, estate planning, saving, and investing, as well as business strategy and succession planning. Our financial planning services include specific investment recommendations that you can implement. We also offer ongoing investment management services for clients who wish to delegate the management of their portfolio to us. Learn more about our investment services. We prepare tax returns as a convenience for our financial planning and investment management clients. Our base fee is $150.00 per 1 federal + 1 state return plus additional fees depending on your specific tax situation. If you would like a customized tax return preparation quote, please contact our office and then provide us with a prior year tax return. Company retirement plans require careful planning and implementation as well as ongoing oversight, guidance, and management. As an independent fiduciary, we work with employers to design a plan, identify service providers, and educate plan participants. We’ll develop and oversee a lineup of investment options, including professionally managed risk-based portfolios. Send Us a Message to review your current plan or learn about your options to establish one! We offer consulting and advisory services for business owners and entrepreneurs. As local entrepreneurs ourselves, we understand the complexities of starting, managing, and growing a business. Services can include advice on business structure, projections, growth & strategic planning, employee benefits, and risk analysis. We can also work with other professionals to create a team that can help with all your business needs. We offer consulting and advisory services for non-profit organizations and institutions. Our team has been and are currently involved in various charitable organizations around the community, and as such, understand the unique challenges each organization faces. Services range from advice on organization structure and risk analysis to financial policies and guidelines. We work directly with your team and other outside professional advisors to create a team to surround your organization’s needs. As part of the service we provide to institutions and non-profits, we can also make specific investment recommendations. We also offer ongoing investment management services for clients who wish to delegate the management of their portfolio to us. Learn more about our investment services. We’ll develop a personalized investment plan for you and then handle the day-to-day management of your portfolio. To learn more about how we handle your investments and receive a price quote, Contact Us today! Investing is a long-term endeavor requiring patience. Avoid chasing trends and returns. Following a consistent, repeatable process grounded in principles leads to success over time. Keeping an eye on costs can make a difference over time. Investment costs include internal expenses of mutual funds and/or ETFs, transaction costs and tax consequences. Focusing on diversification and quality can reduce volatility as well as risk of not reaching investment objectives. As opposed to choosing between active or passive investments, efficiently constructing portfolios among active and passive investment, combined with active portfolio decisions can add excess risk-adjusted returns over time. Strategic ETF Portfolios (Portfolio Builder) – Utilize low-cost ETFs with long-term strategic allocations and are available in Diversified or TaxAware Diversified strategies. Suggested account minimum of $5,000 or automatic investment program. Managed Fund Portfolios (MFA) – Actively managed core/satellite portfolios utilizing a hybrid of active and passive mutual funds and/or ETFs. Portfolios are available in Diversified, TaxAware Diversified, Short-Term Bond or Sustainable/ESG strategies. Suggested account minimum of $25,000. Individually Managed Portfolios (IMA) – Actively managed core/satellite portfolios utilizing the Core Stock Portfolio and Core Bond Portfolio, along with a hybrid of active and passive mutual funds and/or ETFs. Portfolios are available in Diversified, or TaxAware Diversified. Suggested account minimum of $200,000. Individual municipal, corporate and government bonds or CDs may be utilized within these models where appropriate in place of certain mutual funds/ETFs (generally 25k minimum position size for muni and corporate bonds). Sustainable ESG Portfolio (ESG) – Actively managed portfolios with a focus on investments with High or Above Average Sustainability and ESG (Environment, Social, Governance) scores within their peer groups, with limited Controversy exposure. Data for scoring is derived from Morningstar Direct and Sustainalytics and is applied to the overall portfolio in a quantitative and consistent fashion. Portfolios may not meet certain values based on exclusionary requirements, rather seek to provide a larger exposure to companies that score higher according to the Sustainalytics methodology. Core Stock Portfolio – A managed core stock portfolio focusing primarily on Mid-Large Cap US stocks, diversified across economic sectors and chosen through bottom up research focusing on Growth at a Reasonable Price (GARP) and Dividend Growth factors; seeking high-quality, well-managed companies settling at attractive valuations. Portfolios are generally fully invested, consisting of 35-50 securities. In line with the long-term nature of the process, the goal is to provide superior risk-adjusted investment results over a full market cycle typically 3-5 years) relative to the S&P 500 Index. Core Bond Portfolio – A managed core bond portfolio intended to provide a suitable level of current income with an emphasis on capital preservation while providing diversification to stock portfolios. Portfolios are constructed across maturity structure, sectors, and geographic regions. Bond selection focuses on relative valuation and investment-grade debt, primarily investing in government, corporate, and mortgage-backed securities. Portfolios generally consist of 10-20 securities with weighted average maturity between 3 and 7 years, an average credit quality of A or better, and may include positions in mutual funds, ETFs and cash when appropriate for client circumstances. In line with the long-term nature of the process, the goal is to provide superior risk-adjusted investment results over a full market cycle (typically 3-5 years) relative to the Bloomberg US Aggregate Bond Index. Short-Term Bond Portfolio – Intended to provide capital preservation while seeking maximum yield, focusing on high-quality short term bonds and money market instruments. May be suitable for use as a short-term reserve portfolio. Portfolios may include positions in ETFs, mutual funds, CDs, bonds and cash, and will generally fall within 1-5 years until maturity with an average effective duration less than 3 in order to reduce interest rate sensitivity. Portfolios will maintain an average credit quality of A or better. Although the portfolio should have a higher yield than money markets, the value may fluctuate over short-term time frames. CGN may aggregate accounts within a household for purpose of reaching the tiers above. While CGN does not have a minimum account size, households are subject to a $250 minimum annual fee. Portfolio management services may receive a reduced fee when combined with ongoing financial planning services. Please contact our office if you have any issues finding a particular resource. Our team of advisors is made up of native mid-westerners who are passionate about helping you—our families, our friends, our neighbors—plan for the future. Chad Chase, JD, CTFA, is in charge of client relationship management for CGN Advisors. 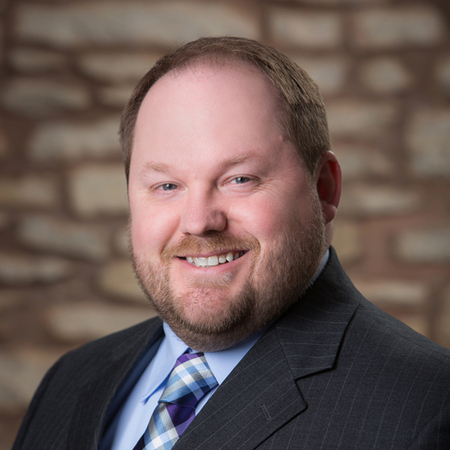 Previously, he served as Vice President & Trust Officer at The Trust Company, Manhattan, Kansas providing his clients with financial advice, investment management, and trust administration services. 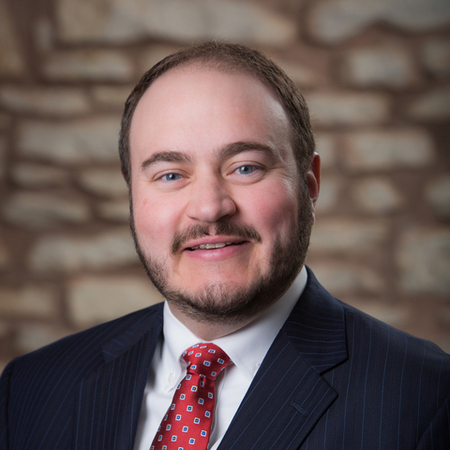 Prior to entering the wealth management industry, Chad worked in commercial banking for four years in Kansas City and Derby, Kansas and practiced law in Manhattan. Chad holds degrees from Butler Community College, Kansas State University (finance & music), and the University of Nebraska College of Law. He is also a graduate of the American Bankers Association Graduate Trust School and has obtained the Certified Trust & Financial Advisor certification from the Institute of Certified Bankers. He has held various leadership positions with the Flint Hills Community Clinic, KBA Trust Division, Riley County Bar Association, Leadership Manhattan, Friends of McCain Board, Alpha Gamma Rho Alumni Board, and Flint Hills Children’s Choir. Chad is also a 2015 graduate of Leadership Kansas. Chad grew up on a 100-year old ranch in Butler County, KS that he still helps manage and operate. Growing up, Chad was actively involved in 4-H and also studying piano. Chad’s wife, Segen, is a Manhattan native and also a KSU graduate. She is a local physician practicing in Internal Medicine. Chad and Segen have two children, Solveig & Gantt. Both Chad and Segen are accomplished musicians and very active in the local music and art scene. In addition to music, Chad enjoys golf, basketball, KSU Athletics, and traveling. Mike Greim serves as the firm’s Chief Investment Officer and is responsible for overseeing investment research and portfolio management functions. Prior to co-founding CGN Advisors, Mike was the Chief Investment Officer for The Trust Company in Manhattan Kansas from 2010 to 2016, and served the same role for Landmark Bank in Columbia Missouri from 2001 to 2010. Mike began his career in Kansas City with American Century in 1996 before becoming Portfolio Manager for Country Club Trust Company. Mike is a graduate of the University of Central Missouri with a Bachelor of Science in Economics and a Minor in Finance. He is a member of the CFA Institute, the CFA Society of Kansas City, and serves on the Economics and Finance Advisory Board for the University of Central Missouri. A native of Excelsior Springs, Missouri, Mike has a passion for community involvement that he attributes to his father and grandfather and he currently serves on the Manhattan Arts Center and KSU Research Foundation boards. Mike and his wife Tina have three children, Zack, Logan and Bentley and he enjoys playing solo acoustic shows around the Manhattan area. In 2011, Justin partnered with Sheryl Garrett to launch Garrett Investment Advisors, a Fee-Only SEC registered investment advisor, with approximately 25 financial advisors located across the United States. Since 2010, Justin has taught an on-campus introductory personal finance course as an adjunct instructor at K-State. He also serves on the advisory board for K-State’s Personal Financial Planning program. 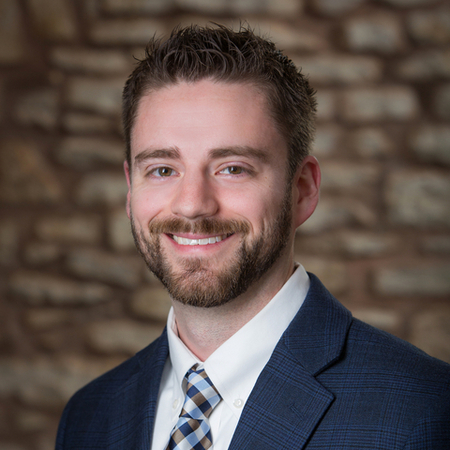 In 2007, Justin started his own financial planning and investment advisory firm, Nichols Financial Advice, a Fee-Only State of Kansas registered investment advisor. 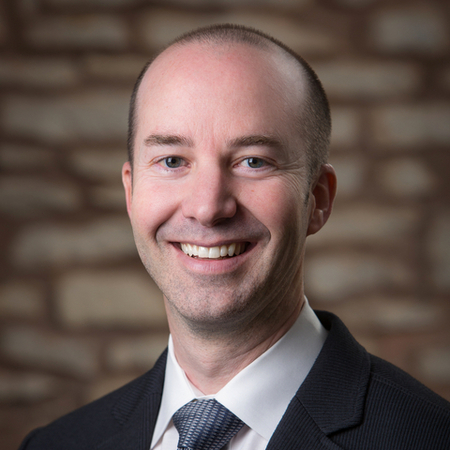 Since 2003, Justin has worked as Director of Operations of the Garrett Planning Network, a nationwide network of approximately 300 independent, Fee-Only financial advisors. Prior to becoming a financial advisor, Justin worked as Quality Assurance Team Lead in Sprint’s Real Estate Technology group for 1 year. He also worked as a Consultant in Accenture's Communications & High-Tech market group for more than 3 years. Justin is a CERTIFIED FINANCIAL PLANNER™ professional, having completed the requirements for certification in 2007. In order to maintain his certification, Justin is required to complete 30 hours of continuing education every 2 years. As a CFP® certificant, Justin also adheres to the CFP Board’s Code of Ethics and Professional Responsibility and Financial Planning Practice Standards. Justin is also a NAPFA-Registered Financial Advisor. A NAPFA-Registered Financial Advisor is a financial planner who has earned the CERTIFIED FINANCIAL PLANNER™ certification, is a NAPFA recognized practitioner, Fee-Only, and who meets NAPFA’s rigorous standards. Justin is a graduate of K-State’s College of Business Administration with a Bachelor of Science in Finance. In the past Justin has served as Board Member for the Flint Hills Financial Literacy Council (Manhattan, KS). He has also served as Treasurer for the Garrett Financial Education Alliance, a non-profit financial education foundation (Shawnee Mission, KS). He has also served as Financial Coach through the United Methodist Church of the Resurrection’s Stewardship Ministry (Leawood, KS). Justin lives with his wife, Edee, and sons, Nate and Luke, in Manhattan, KS. He enjoys jogging, golfing and snow skiing and helping with his sons’ church, 4-H and sports activities. Justin's own personal financial mantra is: Work hard to earn a good living. Give generously. Protect you and your loved ones. Save early and often. Spend the rest to enjoy life! 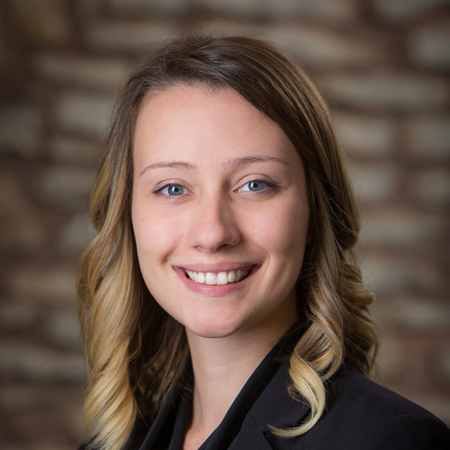 Nicola graduated from Kansas State University in May 2017 with a Bachelor of Science in Personal Financial Planning and a minor in English. Throughout college Nicola worked at State Farm Insurance as a saleswoman licensed in both Property & Casualty and Life & Health insurance for four years. Just prior to joining CGN she also worked part-time at Navy Federal Credit Union. On top of part-time work and school, Nicola also worked as a research assistant for Stu Heckman, PhD, CFP®, assisting him with research papers and helping to develop undergraduate class content. Nicola attained the Enrolled Agent designation in the fall of 2018 and is permitted to practice before the IRS. Nicola has been married to her husband, Ryan, since May of 2016. Their growing family now includes their faithful hound, Phoebe, and a son, Ezra. In their free-time, Ryan and Nicola enjoy staying involved with their church community at Manhattan Presbyterian Church. Dr. Stuart Heckman is a Certified Financial PlannerTM and an Assistant Professor of Personal Financial Planning in the School of Family Studies and Human Services at Kansas State University. Dr. Heckman is a Financial Planner at CGN Advisors and is the lead advisor for a limited number of clients. He also contributes to the overall firm strategy for financial planning and investment management. He enjoys helping individuals and families develop and pursue their financial goals. Dr. Heckman’s research focuses on the professional practice of financial planning and on financial decisions involving uncertainty, especially among young adults and college students. His work has been published in College Student Journal, Journal of College Student Retention: Research, Theory, and Practice, Journal of Financial Counseling and Planning, Journal of Financial Planning, and Journal of Financial Therapy. He earned his B.S in Personal Financial Planning from Kansas State University and his M.S. and Ph.D. in Family Resource Management from The Ohio State University. Originally from the Kansas City area, Dr. Heckman is glad to be in Manhattan with his wife (Heidi) and three kids (Reese, Abe, and Jack). In his free time, he enjoys reading, watching K-State and Ohio State football and basketball, and being outdoors. His family is also active in the Village, a community of house churches in Manhattan. 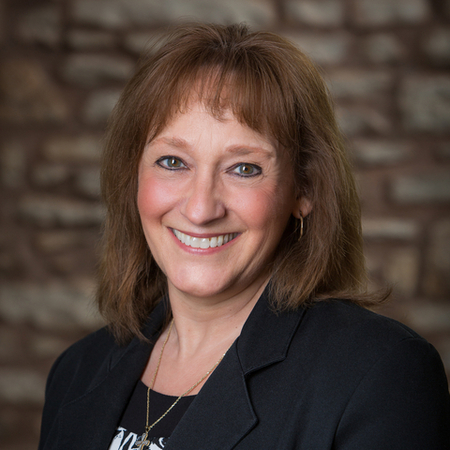 As Director of Client Services at CGN Advisors, Kathy is responsible for the overall client service process, client relationships, and daily operations of the firm. Prior to joining CGN Advisors, she was an Account Administrator at The Trust Company in Manhattan, Kansas for 15 years. Kathy also worked as an Elementary School Teacher for 15 years (1 year in Riley and 14 years in Dwight, KS). Due to family tragedies, she has also had personal experience in estate and trust management. Kathy earned a Bachelor of Science degree in Elementary Education, a Master of Science degree in Educational Administration and a Graduate Certificate in Personal Financial Planning from Kansas State University. She also completed the Trust & Financial Services School and Advanced Trust Administration School offered by the Schools of Banking. Kathy grew up in Council Grove, Kansas in a close family of six children. She has been married to her husband, Kelly, since 1984. They live in Dwight, where they raised their two daughters, Abby and Ally. Recently added to the family, is son-in-law, David. In her free time, Kathy loves spending time with family! Please contact us to schedule a no-obligation meeting to get acquainted and to let us answer any questions you may have. We look forward to getting to know you! CGN Advisors, LLC (“RIA Firm”) is a registered investment adviser located in Manhattan, KS. CGN Advisors, LLC (referred to herein as CGNA) may only transact business in those states in which it is registered, or qualifies for an exemption or exclusion from registration requirements. CGNA’s web site is limited to the dissemination of general information pertaining to its advisory services, together with access to additional investment-related information, publications, and links. Accordingly, the publication of CGNA’s web site on the Internet should not be construed by any consumer and/or prospective client as CGNA’s solicitation to effect, or attempt to effect transactions in securities, or the rendering of personalized investment advice for compensation, over the Internet. Any subsequent, direct communication by CGN Advisors, LLC with a prospective client shall be conducted by a representative that is either registered or qualifies for an exemption or exclusion from registration in the state where the prospective client resides. For information pertaining to the registration status of CGN Advisors, LLC, please contact the state securities regulators for those states in which CGNA maintains a registration filing. A copy of CGNA’s current written disclosure statement discussing their business operations, services, and fees is available at the SEC’s investment adviser public information website – www.adviserinfo.sec.gov or from CGNA upon written request. CGN Advisors, LLC does not make any representations or warranties as to the accuracy, timeliness, suitability, completeness, or relevance of any information prepared by any unaffiliated third party, whether linked to CGNA’s web site or incorporated herein, and takes no responsibility therefor. All such information is provided solely for convenience purposes only and all users thereof should be guided accordingly.